Recently, or in fact since a bit ago, I've had a bit of problem finding words both in English and Japanese, which I find almost threating. When your language is poor, I wonder, your ways to express emotions or feelings become limited and it diminishes the range of emotions and feelings. This relates to the range of expressions in my work. That is a serious issue. Anyhow, I must restore my vocabularies and expressions in Japanese and English (and learn Dutch at the same time as well?) otherwise it'll bring me many troubles in the near future. SO, I'be written a new entry after such a long time. It doesn't matter to whom I'm writing this or how well it's written or whatever, anyway I've got to write something. This is what is said on yesterday's calender. When it is a good prophecy, then you just do what you have been doing as usual. And when it is a bad prophecy, then it goes as it says if you don't correct your way. When i saw the calender yesterday, i thought of Fukushima Daiichi nuclear power plant. If people had learnt from Chernobyl and Three Mile Island accidents, the situation had been 'better' (only in comparison to what has become) than now.. for example. i deeply wish bad prophecies will not anymore become ture at Fukushima Daiichi. Yesterday, i helped 'Dialogue of my Dutch friends with Japanese' . It was the second time i went to the meeting. About 15 people came and there was a woman who survived the Japanese camp that i met in Dialogue the Netherlands-Japan-Indonesia before. That woman seemed tense for the whole time and her comments carried her angst which was alomst like her reflex towards 'Japan', and yet, she also seemed that she was looking for an answer to that. Having seen her reactions, i had to think that the scar from a war would not disappear, and for some it takes their entire life to deal with them. i've got an idea that it is in fact impossible to fully understand the war experiences as long as people don't experience the war itself. However, and rather because of that, we have to listen carefully to the people with the experience of war to receive the core message at the bottom. 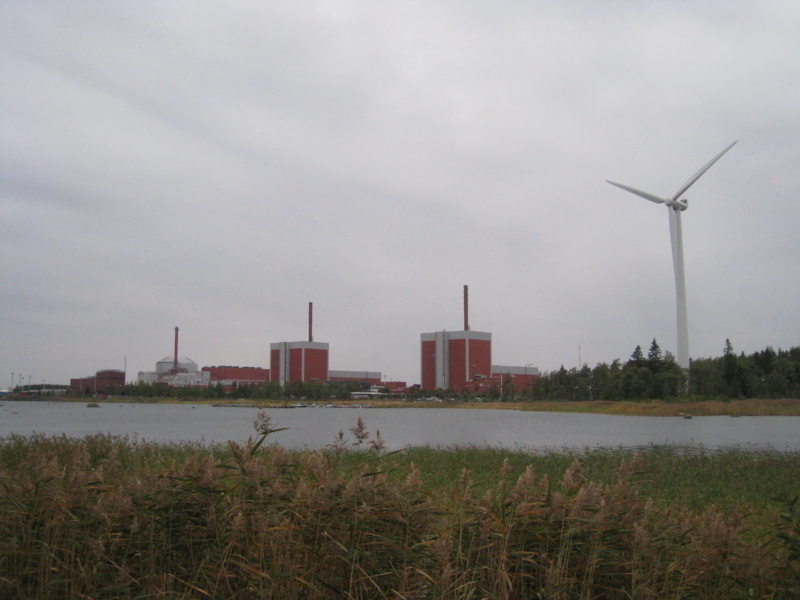 Last week, when i went to a visitors' centre at a nuclear power site in Finland with friends and E.
The moment i looked front and, as i was sitting right behind the driver, saw a bit of horns coming out from the head of the driver, the car suddenly braking and swung to the right like a switchback. We just avoided an accient. The car stopped for a little while. Everybody (well, maybe not the some for the driver) was in silence for a little while to catch up with what just happended. The car which was running after us had stopped as well. It was just before the hunting season for moose to be open and there were always some accidents that could kill people. If we couldn't avoid the moose and hit him or her, that could have been one of those fatal accident. As i didn't know anything like that, i was mostly feeling pity i was the only one who couldn't see the moose in that moment. In our case, the moose was walking slowly and the driver instinctively took the car to the right aslthough the moose appeared from the left, which avoided the accident and saved our lives. So, at the end of the day, the iron rule for life is 'case by case'?